Amici Strings has been granted IRS 501 (3)(c) status. We are now officially a Non-Profit Organization! Similarly to Vivaldi, Gustav Holst spent a large part of his career as a pioneering music educator at a girls’ school. From 1905 to his death in 1934 he was employed by the St. Paul’s School for Girls, located in Brook Green, Hammersmith, West London. Contained in that address are the titles of three of Holst’s compositions, but it is St. Paul’s Suite that has become a staple of string orchestra repertoire. Who can resist the dances? We have a lively opening jig, a quiet waltz one would hear in a dream, a waltz treatment of Greensleeves and another jig. Between two of the dances is the wonderful Intermezzo, in which the soulful solo violin and viola delicately wind their way through the pizzicato strings, only to have the orchestra suddenly run at full speed and just as suddenly stop to ponder the old soulful melody again. The Finale (The Dargason) was a bold stroke in a composition for students in 1913. The virtuosity of composition and orchestration we enjoy so much in Holst’s most famous piece, The Planets, still a few years in the future, is evident here. Among English composers, only Holst would dare to combine two familiar tunes having different rhythmic schemes and score that combination so masterfully that the two melodies seem destined to be together from birth. 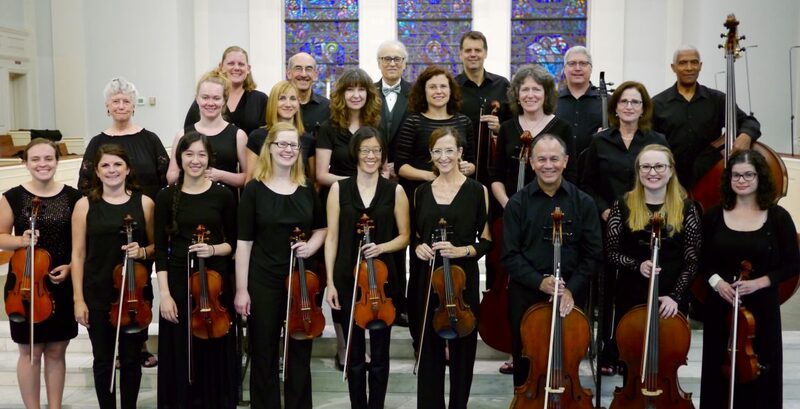 Come hear us perform his work on Sunday, January 10th at 4 p.m. at St. Peter’s Episcopal Church in Phoenixville, PA.